Professor Elaine Dennison is Professor of Musculoskeletal Epidemiology and Honorary Consultant in Rheumatology within Medicine at the University of Southampton. Having worked as a Principal Investigator of the Hertfordshire Cohort Study for many years, her research interest centres around musculoskeletal aging. Based at the MRC Lifecourse Epidemiology Unit, she is particularly interested in how events early in life interact with adult lifestyle factors to determine how we age. Professor Dennison is author of over 220 journal articles on this subject. 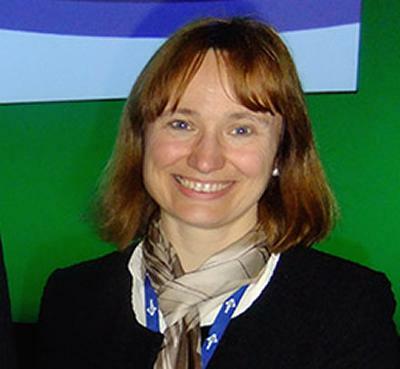 As a clinical academic with a keen interest in clinical academic training, Professor Dennison was appointed as Director of the Southampton Clinical Academic Training Scheme in 2018; formerly she led the Southampton Academic Foundation training programme and has served as Training Programme Director for Wessex Rheumatology for 5 years. She sits on the rheumatology SAC as the Academic representative. In the last 5 years she has served as Chair of the National Osteoporosis Society Grants Committee, and as a member of the National Osteoporosis Society Clinical and Scientific Committee. She sits on the International Osteoporosis Foundation Committee of the Scientific Advisers, and chairs the British Society of Rheumatology Biologics Register Steering Committee. She is a clinical member of the Bone Research Society Committee (appointed 2018). Professor Dennison sits on many editorial boards, including Osteoporosis International and Journal of Developmental Health and Adult Disease. Dennison, E. M., Cooper, C., Kanis, J. A., Bruyère, O., Silverman, S., McCloskey, E., ... Ferrari, S. L. (Accepted/In press). Fracture risk following intermission of osteoporosis therapy. Osteoporosis International. Denison, H. J., Woods, L., Bromhead, C., Kennedy, J., Grainger, R., Jutel, A., & Dennison, E. (2018). Healthcare-seeking behaviour of people with sexually transmitted infection symptoms attending a Sexual Health Clinic in New Zealand. The New Zealand Medical Journal, 131(1481), 40-49. Patel, A., Edwards, M. H., Jameson, K., Ward, K., Fuggle, N., Cooper, C., & Dennison, E. (Accepted/In press). Longitudinal change in peripheral quantitative computed tomography assessment in older adults: The Hertfordshire Cohort Study. Calcified Tissue International. Metrustry, S. J., Karhunen, V., Edwards, M. H., Menni, C., Geisendorfer, T., Huber, A., ... Valdes, A. M. (2018). Metabolomic signatures of low birthweight: pathways to insulin resistance and oxidative stress. PLoS ONE. Patel, H., Collins, P., Everett, R., Cooper, C., & Dennison, E. (Accepted/In press). Sarcopenia: epidemiology, challenges and opportunities for multidisciplinary practice. In Touch. Nilsen, O. A., Ahmed, L. A., Winther, A., Christoffersen, T., Furberg, A. S., Grimes, G., ... Emaus, N. (Accepted/In press). Changes and tracking of bone mineral density in late adolescence: the Tromso Study, Fit Futures. Archives of Osteoporosis. Diez-Perez, A., Naylor, K., Abrahamsen, B., Agnusdei, D., Brandi, M. L., Cooper, C., ... Eastell, R. (Accepted/In press). International Osteoporosis Foundation and European Calcified Tissue Society Working Group. Recommendations for the screening of adherence to oral bisphosphonates. Osteoporosis International, 1-26. Fuggle, N., Shaw, S., Dennison, E., & Cooper, C. (2017). Sarcopenia. Best Practice & Research Clinical Rheumatology. Timmermans, E. J., van der Pas, S., Schaap, L. A., Cooper, C., Edwards, M. H., Gale, C. R., ... Dennison, E. M. (Accepted/In press). Associations between perceived neighbourhood problems and quality of life in older adults with and without osteoarthritis: results from the Hertfordshire Cohort Study. Health & Place, 1-31. Robinson, S. M., Jameson, K. A., Bloom, I., Ntani, G., Crozier, S. R., Syddall, H., ... Sayer, A. A. (Accepted/In press). Development of a short questionnaire to assess diet quality among older community-dwelling adults. The Journal of Nutrition, Health & Aging, 1-25. Paccou, J., Edwards, M., Patsch, J. M., Jameson, K., Ward, K. A., Moss, C., ... Cooper, C. (Accepted/In press). Lower leg arterial calcification assessed by high-resolution peripheral quantitative computed tomography is associated with bone microstructure abnormalities in women. Osteoporosis International. Lu, R-S., Dennison, E., DENISON, HAYLEY., Cooper, C., Taylor, M., & Bottema, M. J. (Accepted/In press). Texture analysis based on Gabor filters improves the estimate of bone fracture risk from DXA images. Computer Methods in Biomechanics and Biomedical Engineering. Litwic, A., Cooper, C., & Dennison, E. M. (2014). Osteoporosis therapies in 2014. Panminerva Medica, 56(4), 273-283. Edwards, M., van der Pas, S., Denkinger, M. D., Parsons, C., Jameson, K., Schaap, L. A., ... Dennison, E. (2014). Relationships between physical performance and knee and hip osteoarthritis: findings from the European Project on Osteoarthritis (EPOSA). Age and Ageing, 43(6), 806.
Cooper, C., Dennison, E., Edwards, M. H., & Litwic, A. (2013). Epidemiology of osteoarthritis. Medicographia, 35(2), 145-151. Alharbi, K. K., Hou, G., Chen, X., Gaunt, T. R., Syddall, H. E., Sayer, A. A., ... Day, I. N. W. (2011). Population mutation scanning of human GHR by meltMADGE and identification of a paucimorphic variant. Genetic Testing and Molecular Biomarkers, 15, 855-860. Cole, Z. A., Dennison, E. M., & Cooper, C. (2009). The impact of methods for estimating bone health and the global burden of bone disease. Salud Pública de México, 51(Supplement 1), S38-S45. Moinuddin, M. M., Jameson, K. A., Syddall, H. E., Sayer, A. A., Martin, H. J., Robinson, S., ... Dennison, E. M. (2008). Cigarette smoking, birthweight and osteoporosis in adulthood: results from the hertfordshire cohort study. The Open Rheumatology Journal, 2, 33-37. DOI: 10.2174/1874312900802010033. Aihie Sayer, A., Dennison, E. M., Syddall, H. E., Jameson, K., Martin, H. J., & Cooper, C. (2008). The developmental origins of sarcopenia: using peripheral quantitative computed tomography to assess muscle size in older people. The Journals of Gerontology Series A: Biological Sciences and Medical Sciences, 63(8), 835-840. Robinson, S. M., Batelaan, S. F., Syddall, H. E., Aihie Sayer, A., Dennison, E. M., Martin, H. J., ... Cooper, C. T. H. C. S. G. (2006). Combined effects of dietary fat and birth weight on serum cholesterol concentrations: the Hertfordshire Cohort Study. American Journal of Clinical Nutrition, 84(1), 237-244. Dennison, E. M., Syddall, H. E., Day, I. N. M., Gaunt, T. R., Rodriguez, S., Lips, M., & Cooper, C. (2006). Early life calcium-sensing receptor gene polymorphism interaction in determination of adult bone mass: the Hertfordshire Cohort study. Journal of Bone and Mineral Research, 21(7), p1156. Cooper, C., Javaid, K., Westlake, S., Harvey, N., & Dennison, E. (2005). Developmental origins of osteoporotic fracture: the role of maternal vitamin d insufficiency. Journal of Nutrition, 135(11), 2728S-2734S. Dennison, E., Cole, Z., & Cooper, C. (2005). Diagnosis and epidemiology of osteoporosis. Current Opinion in Rheumatology, 17(4), 456-461. Dennison, E., Syddall, H., Fall, C., & Cooper, C. (2005). Evidence of sexual dimorphism in relationships between estrogen receptor polymorphisms and bone mass: the Hertfordshire study. Journal of Rheumatology, 32(12), 2400-2404. Phillips, D. I. W., Goulden, P., Syddall, H. E., Aihie Sayer, A., Dennison, E. M., Martin, H., & Cooper, C. (2005). Fetal and infant growth and glucose tolerance in the Hertfordshire cohort study: a study of men and women born between 1931 and 1939. Diabetes, 54(Supplement 2), S145-S150. Dennison, E. M., Syddall, H. E., Day, I. N. M., Gaunt, T. R., Rodriguez, S., & Cooper, C. (2005). Polymorphisms of the growth hormone receptor, growth hormone secretagogue receptor and growth hormone releasing hormone genes are associated with bone mass: the Hertfordshire cohort study. Journal of Bone and Mineral Research, 20(9), p.S125. Aihie-Sayer, A., Syddall, H. E., Dennison, E. M., Gilbody, H. J., Duggleby, S. L., Cooper, C., ... Phillips, D. I. (2004). Birth weight, weight at 1 y of age, and body composition in older men: findings from the Hertfordshire Cohort Study. American Journal of Clinical Nutrition, 80(1), 199-203.
Cooper, M. S., Syddall, H. E., Wood, P. J., Stewart, P. M., Cooper, C., & Dennison, E. M. (2004). Circulating cortisone, biochemical bone markers and bone density. Journal of Bone and Mineral Research, 19(6), p.1046. Aihie-Sayer, A., Syddall, H. E., Gilbody, H. J., Dennison, E. M., & Cooper, C. (2004). Does sarcopenia originate in early life? Findings from the Hertfordshire cohort study. The Journals of Gerontology Series A: Biological Sciences and Medical Sciences, 59(9), M930-M934. Harvey, N., Dennison, E. M., & Cooper, C. (2004). Early life determinants of osteoporotic fracture. Osteoporosis Review, 12, 1-4. Fall, C. H. D., Dennison, E., Cooper, C., Pringle, J., Kellingray, S. D., & Hindmarsh, P. (2002). Does birth weight predict adult serum cortisol concentrations? Twenty-four-hour profiles in the United Kingdom 1920-1930 Hertfordshire birth cohort. Journal of Clinical Endocrinology & Metabolism, 87(5), 2001-2007. Dennison, E. M., Cooper, C., Giustina, A. (Ed. ), Angeli, A. (Ed. ), & Canalis, E. (Ed.) (2002). Epidemiology of glucocorticoid-induced osteoporosis. Frontiers of Hormone Research. Glucocorticoid-Induced Osteoporosis, 30, 121-126. Walker-Bone, K., Dennison, E., & Cooper, C. (2001). Epidemiology of osteoporosis. Rheumatic Diseases Clinics of North America, 27(1), 1-18. Charmandari, E., Pincus, S. M., Matthews, D. R., Dennison, E. M., Fall, C. H., & Hindmarsh, P. C. (2001). Joint growth hormone and cortisol spontaneous secretion is more asynchronous in older females than in their male counterparts. Journal of Clinical Endocrinology & Metabolism, 86(7), 3393-3399. Petley, G. W., Taylor, P. A., Murrills, A. J., Dennison, E., Pearson, G., & Cooper, C. (2000). An investigation of the diagnostic value of bilateral femoral neck bone mineral density measurements. Osteoporosis International, 11(8), 675-679. Holroyd, C., Dennison, E., & Cooper, C. (2010). Epidemiology and classification of metabolic bone disease. In M. Hochberg, A. Silman, J. Smolen, M. Weinblatt, & M. Weisman (Eds. ), Rheumatology (pp. 1937-1944). Cambridge, GB: Elsevier. Dennison, E. M., Holroyd, C., & Cooper, C. (2009). Quality of life and bone health. In E. C. Hoffman (Ed. ), Health-Related Quality of Life (pp. 1-9). London, UK: Nova Science. Cooper, C., & Dennison, E. (2008). Ostoporosis risk assessment in women. In G. Clunie, & R. Keen (Eds. ), Osteoporosis (pp. 33-40). (Oxford Rheumatology Library). Oxford: Oxford University Press. Dennison, E., & Cooper, C. (2007). Epidemiology including fragility fracture. In G. Clunie, & R. Keen (Eds. ), Osteoporosis (Oxford Rheumatology Library). Oxford, GB: Oxford University Press. Dennison, E., & Cooper, C. (2007). Lifestyle and constitutional risk factors. In S. Lanham-New, T. O'Neill, R. Morris, D. Skelton, & A. Sutcliffe (Eds. ), Managing Osteoporosis (pp. 69-80). London, UK: Clinical Publishing. Cooper, C., Aihie Sayer, A., & Dennison, E. M. (2006). The developmental environment: clinical perspectives on effects on the musculoskeletal system. In P. Gluckman, & M. Hanson (Eds. ), Developmental Origins of Health and Disease (pp. 392-405). Cambridge, UK: Cambridge University Press. Ferguson, R., Backhouse, M., Bearne, L., Ndosi, M., Dennison, E., Ainsworth, P., ... Cherry, L. (2016). National variation in the composition of rheumatology multidisciplinary teams. Paper presented at Rheumatology 2016 Annual Conference, United Kingdom.